Combining heating and cooling into a single, compact unit, heat pumps offer unmatched benefits. Exceptional energy efficiency, quiet operation, advanced air filtration, and superior control over indoor climate are just the beginning. When you call on the experts from Jarvis Heat & Air, LLC, we design the perfect system for you, making sure you take advantage of superior dehumidification, evenly distributed temperature, and long-term reliability. Partnering quality equipment with meticulous workmanship, we deliver total satisfaction across Gainesville, FL and surrounding areas. Call today for heat pump repairs, maintenance & installations! Whether you call on Jarvis Heat & Air, LLC for heat pump installation, upgrades, seasonal maintenance or skilled repair, we adhere to uncompromising standards of workmanship. Along with convenient scheduling, timely arrival, and organized project sites, our extensively trained technicians provide honest answers and cost-effective results. 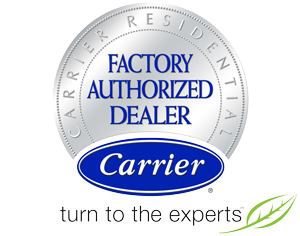 Maintaining distinction as a Carrier Factory Authorized Dealer, we offer a selection of heat pumps which raise the bar in every way. Contact Jarvis Heat & Air, LLC at 352-316-4573. We’re always available to serve your best interests, 24/7, throughout Gainesville, FL.